Take advantage of this Januvia coupon, available only at our Canadian Pharmacy! This coupon is applicable on your first order over $50. Coupon codes cannot be combined & are one-time use only. Januvia (Sitagliptin) is a prescription medication that is taken daily to help patients with Type 2 diabetes by lowering blood sugar levels. The medication works best when your blood sugar level is high by supporting your body’s natural ability to lower blood sugar levels. It is not effective at helping to normalize low blood sugar levels. While the aim is to lower you blood sugar level, it is also important to ensure that the levels do not get too low, which is referred to as hypoglycemia. Januvia (Sitagliptin) alone is not likely to cause hypoglycemia because it does not work well when blood sugar levels are low. If you take other medications to lower your blood sugar level, you are at higher risk of getting a blood sugar level that is too low. If you have been prescribed Januvia (Sitagliptin), you may save money by ordering from our online Canadian pharmacy. We offer the same quality of Januvia (Sitagliptin) as top pharmacies in the US for less the cost. We also offer a Januvia (Sitagliptin) coupon, if it is your first time ordering from us. 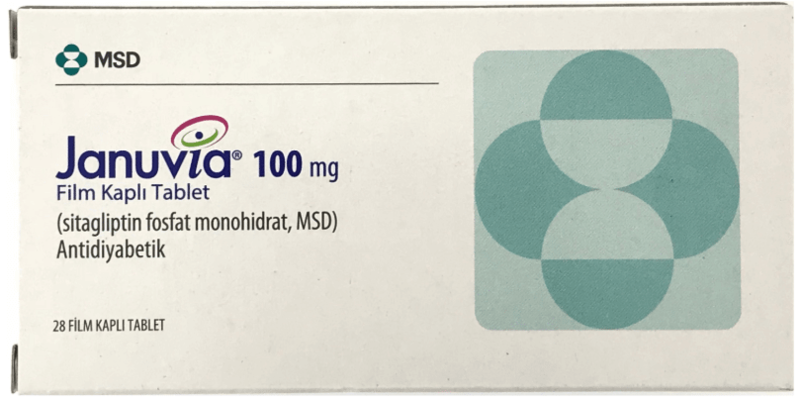 Read more about Januvia (Sitagliptin) here: Januvia Dosage, Januvia Side Effects, Warnings and Precautions, and Interactions. Your physician will direct you on how you should properly take Januvia (Sitagliptin) to treat your condition. Take this medication exactly as indicated by your doctor. Depending on the condition and the doctor’s determination of treatment, this medication comes in the following dosages: Januvia (Sitagliptin) 25mg, Januvia (Sitagliptin) 50 mg and Januvia (Sitagliptin) 100 mg. This medication may be taken with or without food. It is advised to take this medicine regularly. Do not take two doses of Januvia (Sitagliptin) at once. If you miss a dose, take it when you remember. Do not wait until its time for your next dose. If you remember you missed a dose and it is time for the second dose, skip the missed dose of Januvia (Sitagliptin). If you are experiencing a drug overdose, immediately contact an emergency health professional or local poison control center. Most patients do not experience side effects. The most common side effect while taking Januvia (Sitagliptin) is a stuffy or runny nose and sore throat. If you experience unusual effects of taking Januvia (Sitagliptin), tell your doctor and pharmacist. You are currently or plan to breastfeed. It is not known if Januvia (Sitagliptin) is passed to baby through breast milk. You are pregnant or have plans to become pregnant. This medication is not recommended for children 18 years of age or younger. To avoid interactions with Januvia (Sitagliptin), keep a list of all over-the-counter and prescription medications that you take and share it with your medical health professional. Include herbal supplements and vitamins.